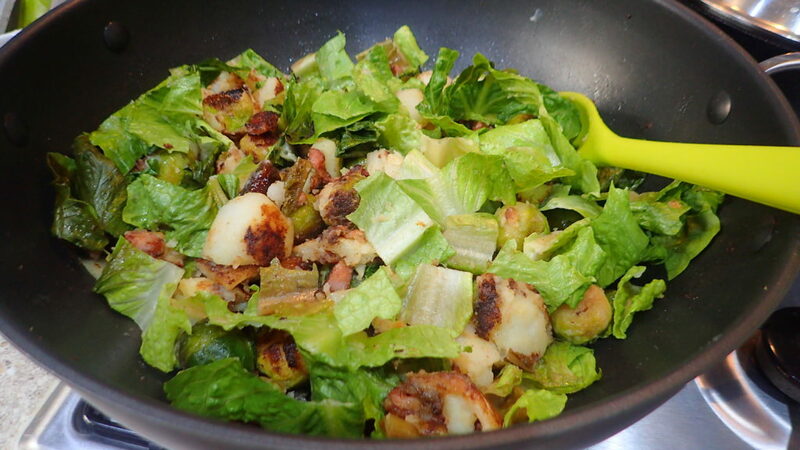 Bubble and squeak is a traditional British breakfast made from boiled potatoes and cabbage. 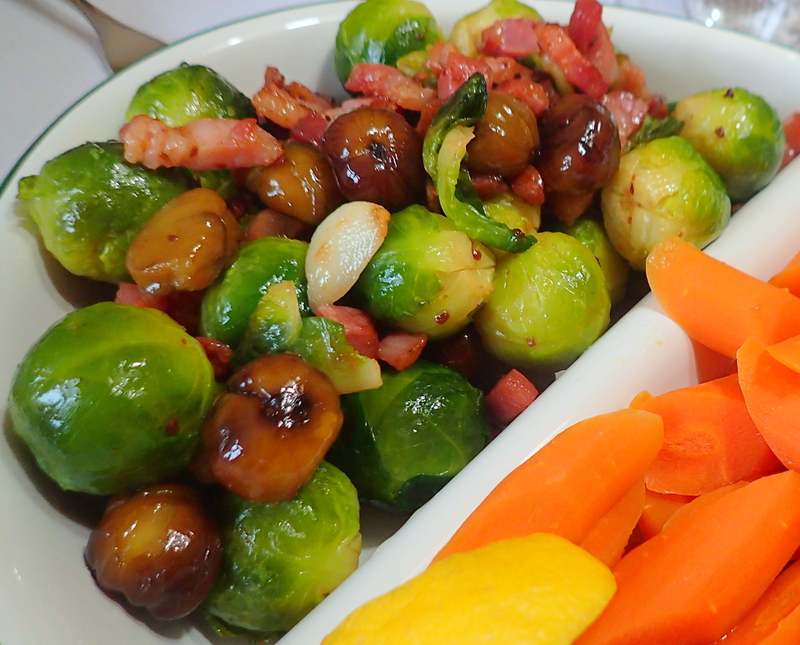 In modern times it is a dish made with the shallow-fried leftover vegetables from a roast dinner. 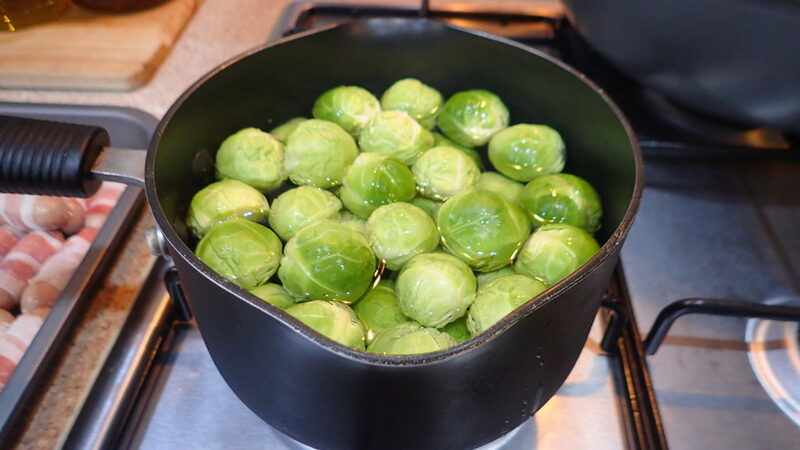 The main ingredients are potato and cabbage but carrots, peas, Brussels sprouts, or any other leftover vegetables may be added. 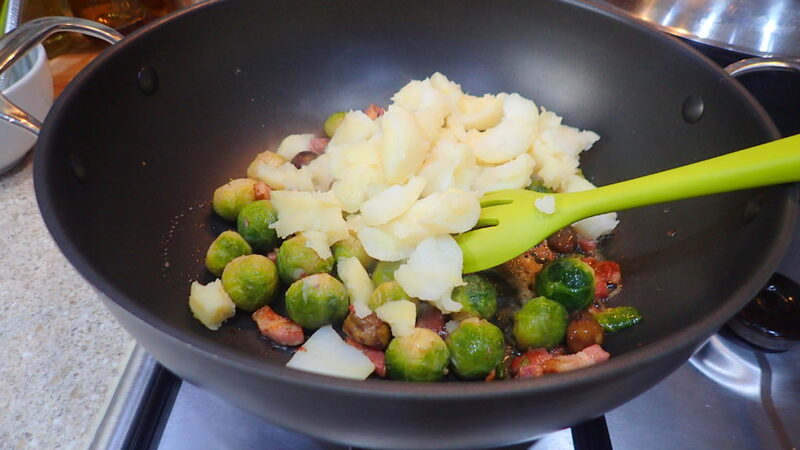 The chopped vegetables (and cold chopped meat if used) are fried in a pan together with mashed potatoes or crushed roast potatoes until the mixture is well-cooked and brown on the sides. The dish is so named because the cabbage makes bubbling and squeaking sounds during the cooking process. 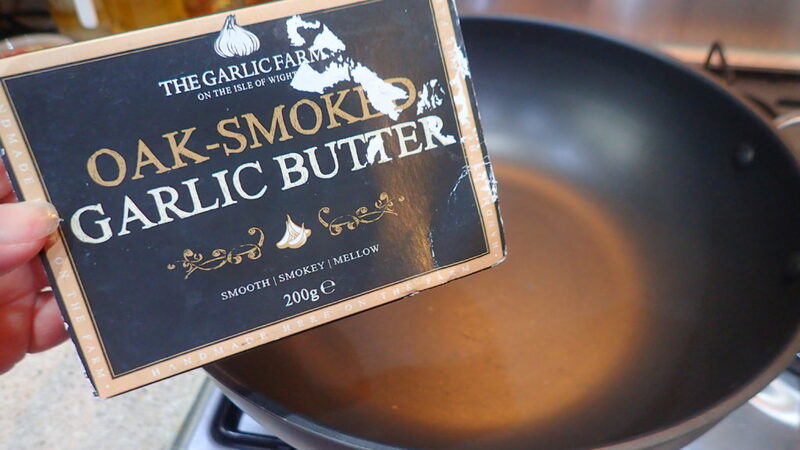 [ It is often served with cold meat from the Sunday roast and pickles or brown sauce or as an accompaniment to a full English breakfast. 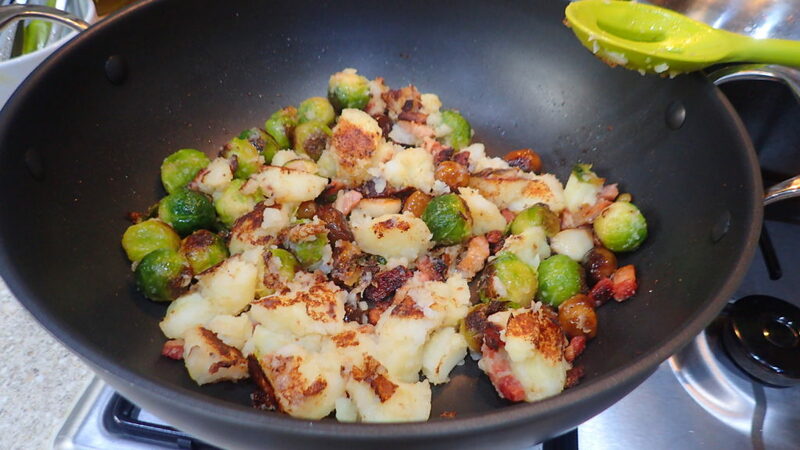 The meat was traditionally added to the bubble and squeak itself, although nowadays it is more commonly made without meat – from Wiki. 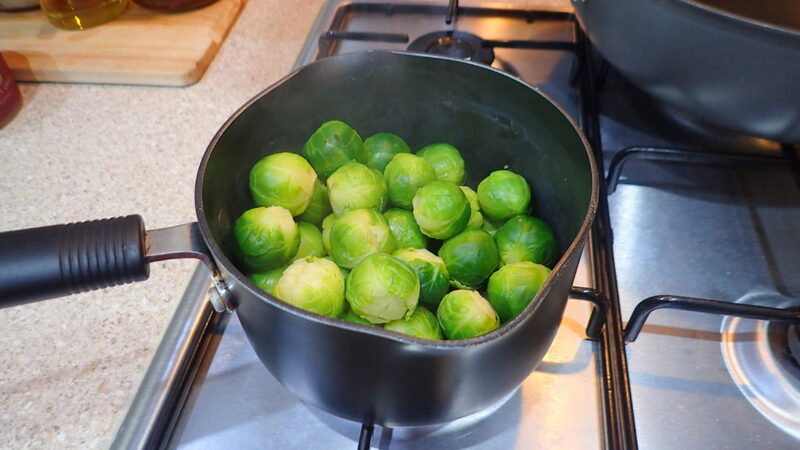 Cut the bottom of the sprouts after trimming the brown bits off. Place into cold water and bring to boil. As soon as boiled drained. They are now ready to be fried. 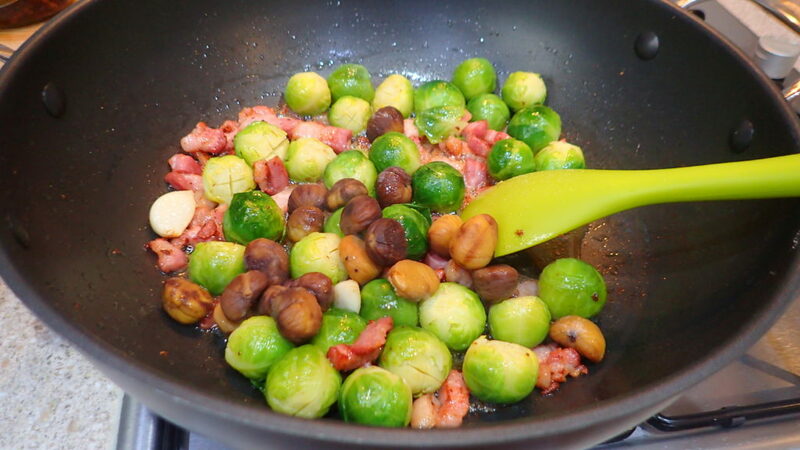 In a pan add some fats and place the garlic and sprouts to fry with the rest of the ingredients. When the potatoes are browned, season to taste. Served a a breakfast or a side dish. Pan fry till the potatoes are slightly brown. 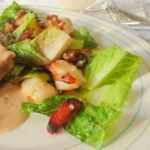 Turn heat off and add more lettuce but don’t mix in until serving.